On March 18, the Metropolitan Museum of Art opened the Met Breuer. Designed by Marcel Breuer in 1963, the building is a Brutalist structure and the former location of the Whitney Museum of American Art. Much like Wright’s design for the Guggenheim, the Met Breuer’s distinct modernist style (which includes inverted windows and a staircase façade) is a spectacle in its own right. But architecture aside, the Met Breuer is an opportunity for the Met to build a sturdier bridge between their old world masterpieces and their contemporary art collection. The opening week featured two exhibits: an oeuvre of Nasreen Mohamedi and Unfinished: Thoughts Left Visible. Nasreen Mohamedi (1937–1990) is an abstract expressionist from post-independence India. Her debut retrospective consists of over 130 drawings, paintings, and ephemera. Mohamedi derives much of her aesthetic inspiration from Indian classical music, Rilke, Le Corbusier, and Camus. Through the repetition of line, Mohamedi creates the impression of dissolving shapes and receding space. Late in life she was diagnosed with a neurological condition (much like Parkinson’s), contributing to the deterioration of her motor skills. Despite this setback, however, Mohamedi continued to sketch line after meticulous line. Mohamedi consummates the union between art and architecture; her work combines both purity and abstraction. The Met Breuer’s other exhibit, Unfinished: Thoughts Left Visible, asks the question: when is a work of art finished? Beginning at the Renaissance and spanning over the next 700 years, the exhibit covers a medley of art movements and eras. Unfinished art reveals a lot about the artists’s process—some of the work even feels like an exposé. 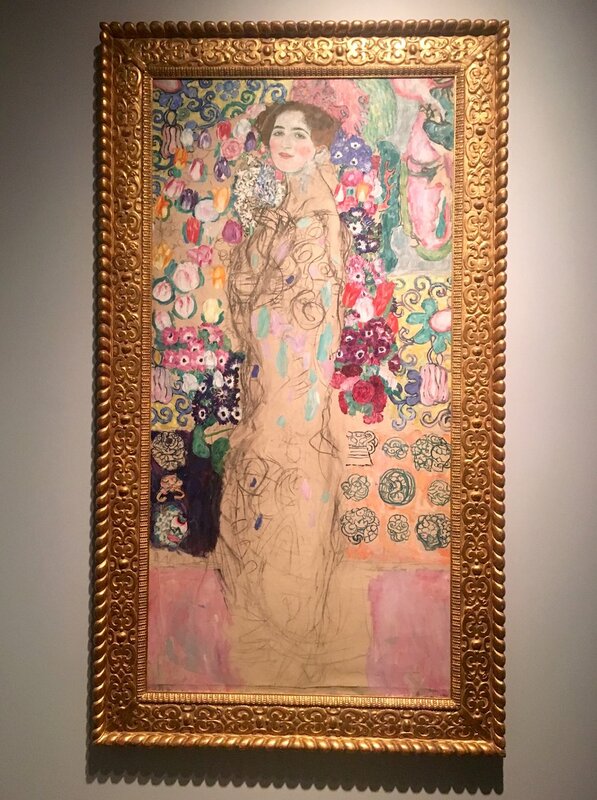 Klimt’s Posthumous Portrait of Ria Munk III (1917—18), for instance, is a stripped down version of the artists’s iconic Art Nouveau style. Other artists are featured, including Titian, Picasso, Twombly, and even a few pieces from da Vinci. The exhibit explores the evolution of art in conjunction with the mystery and ambiguity of unfinished work. The Met Breuer is located at 945 Madison Avenue New York, NY 10021.